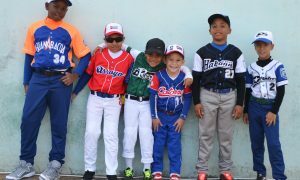 The Chueco brand began supplying clothing for children’s baseball in Havana, but today they have orders coming in from the rest of the country. 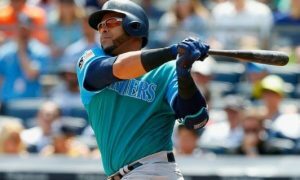 Raul Francisco Vazquez fell in love with baseball the day his mom took him to a stadium for the first time and he thought, “I was born for this”. He was only 7 years old back then, but life equipped him with other talents and, instead of bats or balls, it put sketches, forms and colors in his hands. However, Raul never forgot that show around the diamond-shaped ground and found the way to be faithful to his love for baseball. Today he is a designer and he leads Chueco (crooked) a self-employment initiative in Cuba in charge of making the uniforms of those who, from a very young age, not only dream of being ballplayers, but also yearn to look like real professional ones. 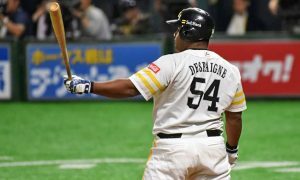 “I have always had a very strong connection with this sport, but there is a really special bond between myself and the team from the Cuban capital – the Industriales. I was born in 1973 and my two children – Diego and Darío – in 2006 and 2010, respectively. The funny thing is that in each one of these years the blues were crowned national champions. 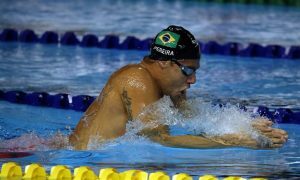 I don’t think that was pure “coincidence”, “Vazquez confessed as he talked to PanamericanWorld. Raúl’s love for the game has inspired him all these years and he is convinced that each experience contributed bit by bit, base to base, to the best homeruns of his life. “Later on I was hired by the company Presisport, where I took on the task of redesigning Cuba’s sporting image for the tourism sector. Through this project I came to handle something that brought me much satisfaction. I was responsible for creating the uniform that the Cuban baseball players took to the First World Baseball Classic in 2006. I loved every moment in which I was able to interact with the players, bring variants and samples of the design and spend time with them at the stadium. I cherish that experience”. Another doubt quickly cleared by Raúl thanks to his love for Cuba’s national sport was associated with a certain choice that often worries those awaiting the arrival of a baby. “Most families here wonder what kind of clothes the child is going to leave the hospital with. For me that was very clear: an Industriales uniform. And so it was. “When our second child was born, my wife Greysi Escobar and I were astonished at the impact of our newborn’s costume, and we thought of ways to make that idea grow. That’s how we created Chueco and started with textile designs for baby clothes. By then, the company I worked for had closed, but thanks to the payment facilities offered by the Presisport branch in Cuba, I was able to acquire 8 industrial machines”. 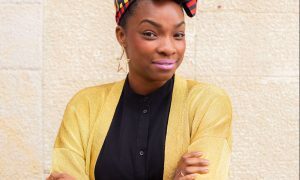 They implemented the idea in August and with fresh fabrics they issued proposals that began to have great acceptance. By December, Chueco products were presented to the International Crafts Fair (FIART). “I remember that on that occasion I asked whether, in addition to the pullovitos or t-shirts and nightshirts for girls, we could also include some sports shirts and, as our proposal has a handmade character, it was easily accepted. 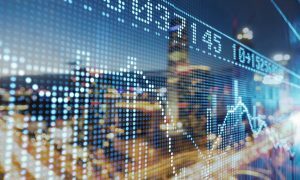 Once again, the public confirmed that the latter was our flagship product”. “I think Chueco has a very familiar stamp. We chose August 10 as the official creation date, coinciding with the birth of our son. My wife does all the commercial work and the initiative was named after my first-born: Diego. “According to an Italian friend, when something is not perfectly symmetrical it is crooked and we affectionately call Diego this way because he has, since a very young age, a condition commonly known as drooping eyelid. 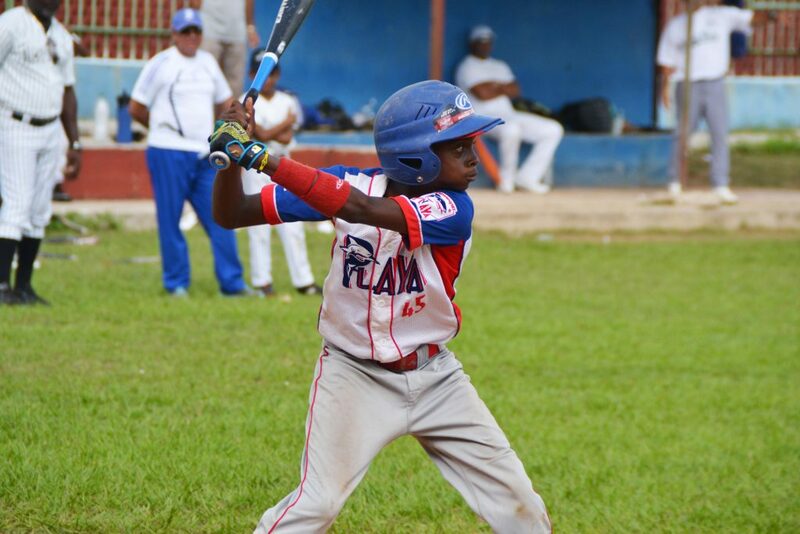 And it was thanks to another member of the family that the initiative began to gain prominence in Cuba’s world of children’s baseball. “Darío, my wife’s son whom I love as my own, is a born ballplayer. He began training from an early age and thanks to him we saw that with Chueco we could cover a need that no one else had been able to meet”. 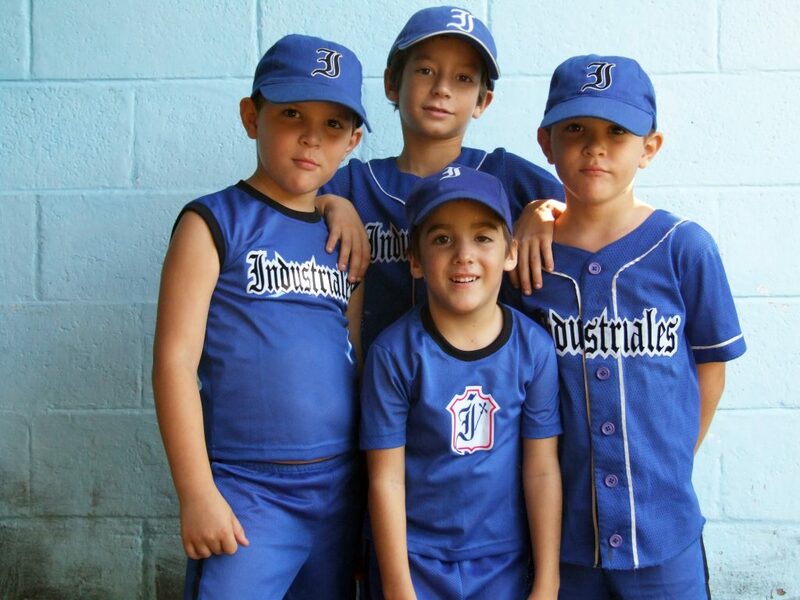 In the 2011 season, Daniel played with the Tiburencitos de Playa at the Sports City and that was the first time they made uniforms for an entire team. “Before Chueco, getting a uniform like this for children’s leagues was very difficult. Sometimes a friend would send one from abroad, but sizes were mismatched and no one took into account the particular taste of those receiving them. 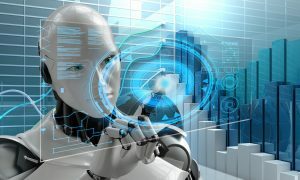 “Our work method offers other possibilities because we allow clients to participate actively in the making of the suit. We meet with the parents, the children and the coaches; we listen to what name, identifier and colors they would like and we take the necessary measurements and samples”. Raul says that, in most cases, the result is very well received. “We do not always have exactly the color they ask for, but they understand that we basically supply ourselves from fabrics found in the country’s commercial networks. We never give up, we look for a thousand solutions to please them and, although some grannies are seamstresses themselves and would prefer to see an additional stitch here or there, we have not yet had a disappointed child”. 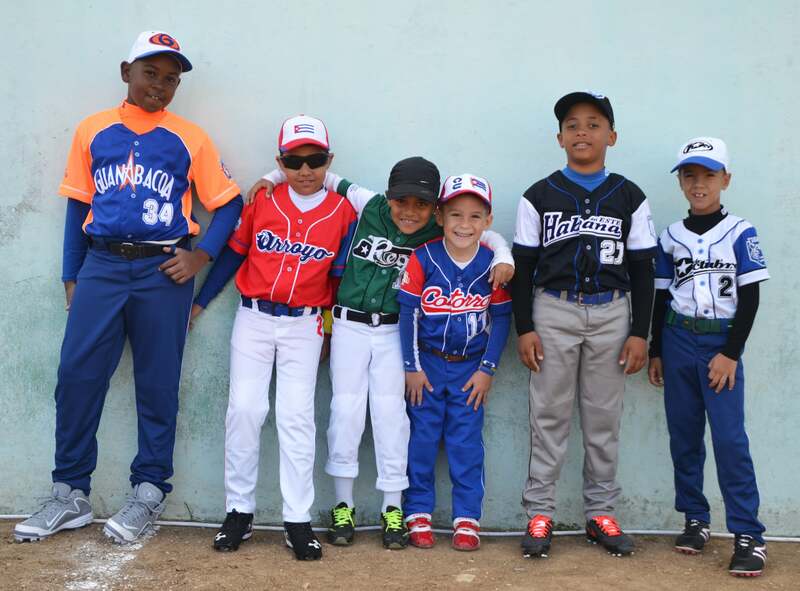 The Chueco brand began supplying clothing for children’s baseball in Havana, but today they have orders coming in from Artemisa, Matanzas, Pinar del Rio and even from Isla de la Juventud. 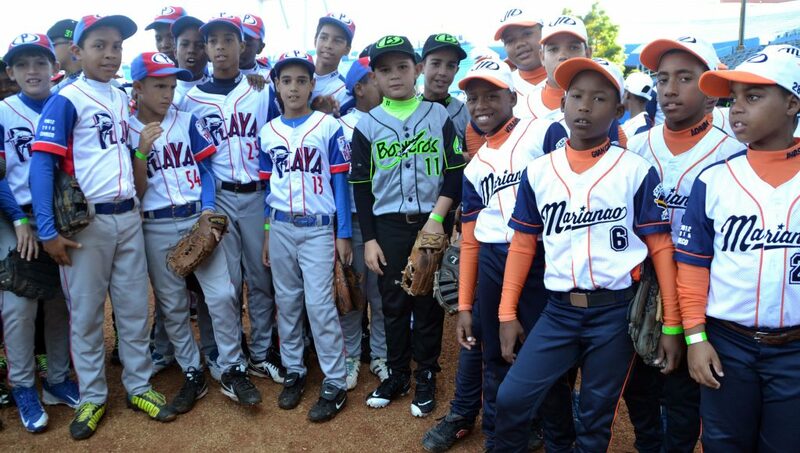 This initiative represents the main source of clothing for the teams since no other entity in Cuba can guarantee the uniforms for those competing in this age category. “When kids suit up they feel important, professional, unique. Some parents confess that, after trying on the suit, the child does not even want to take it off to go to bed. I love being able to fulfill that dream, especially for the little ones. We’ve worked with some other senior teams and even the junior categories (17-18 years), but nothing compares to seeing those 7 to 8 year old kids dressed as real ballplayers”. The work of Raúl and his wife has allowed them to interact with people of all kinds, and sometimes that variety has represented a challenge. “In the field we can find children of self-employed parents, blue-collar workers, teachers, professionals, but my goal is for everyone to feel the same when they go out to play, which is also the meaning of a uniform, and that is why we make sure that differences go unnoticed. “We know that the price of the suit (40 CUC) is not low, nor is it cheap to get the raw material. We have had cases in which Chueco gives away the shirt and the rest of the team comes up with the money to buy the pants or the cap. I know of homes where it is extremely difficult to afford the uniform in a single payment and I give them payment terms and facilities because you cannot be insensitive when it comes to dealing with children”. For this unfulfilled ballplayer to share his creations in spaces such as the Book Fair, Arte en la Rampa (Art on the Ramp), Arte para Mamá (Art for Mom) and FIART is a true privilege. But Chueco’s most beloved exhibition is the one that takes place on the spot, the day when the newly created outfits go out to pitch, swing and run. Raul attends those first games to take pictures of the moment when each child suits up as a professional player. 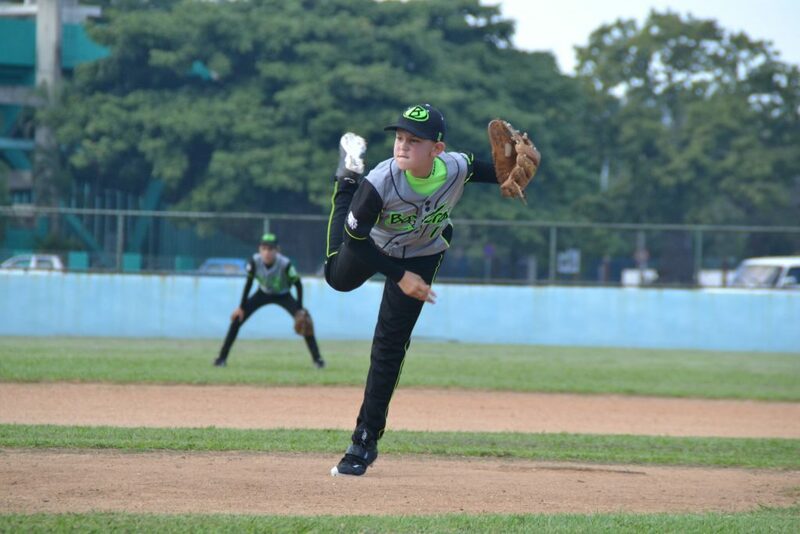 Life may take them through other paths, but today, when their dream is still to become a ballplayer, Chueco fulfills the desire to also be able to look like one.